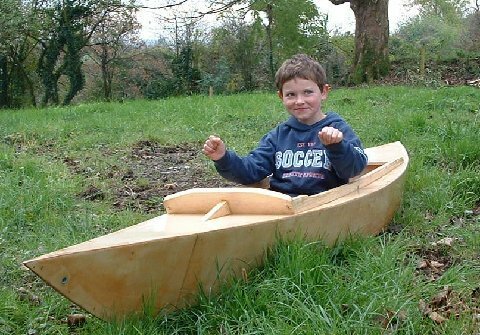 Many thanks for the plan of the Kidyak. 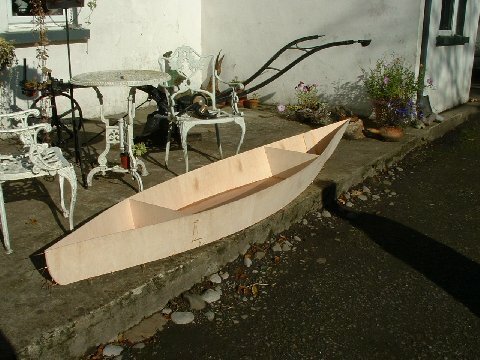 One plan built two boats and they came out well. First stage of construction, you start to get excited, and scale it up in your mind so you can have them! 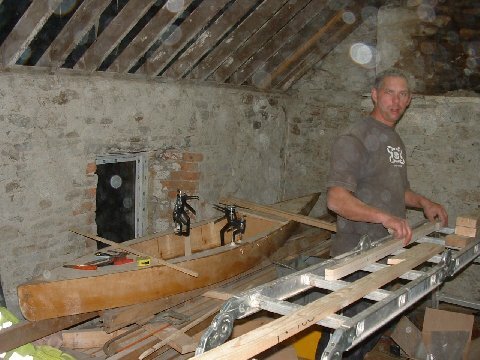 As you can see I should have been working on the house renovation. 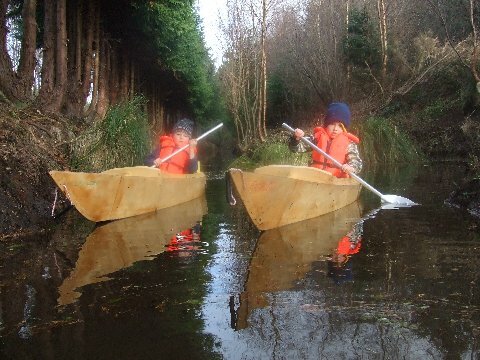 The boats were built for twins Henry and Zach to explore the darkest jungles of Ireland where every kind of monsters lives in a 6 year old's head. Time for a dry run, while the tide is out! Day one. 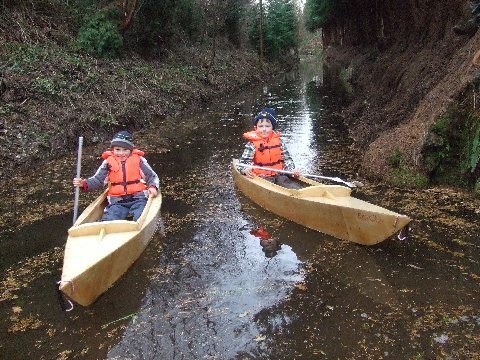 Zach and Henry about to set off into the unknown! "The Black River of Adamstown Ireland". After a full blown expedition its home for supper, bath and bed and the odd story. Monsters will have to wait another day!